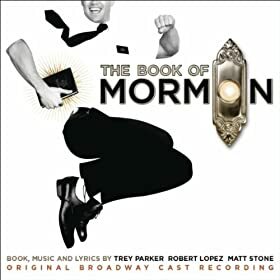 The Book of Mormon soundtrack is $1.99 today. It kills me that I paid full price for this a couple weeks ago, but now I have an excuse to offer my thoughts on the matter. This show is offensive, vulgar, and blasphemous; but it's also hilarious, thought-provoking, and toe-tappingly catchy. In short, it's everything you'd expect from its creators. I might make a trip to NYC just to see it. Here's an easy way to decide whether you should buy this album or not: if you can't imagine ever laughing at a song that makes light of female genital mutilation; then this might not be for you. On the other hand, if you're intrigued by the fact that someone even tried to find the humor in such an offensive practice; then it will be worth every bit of your $2.